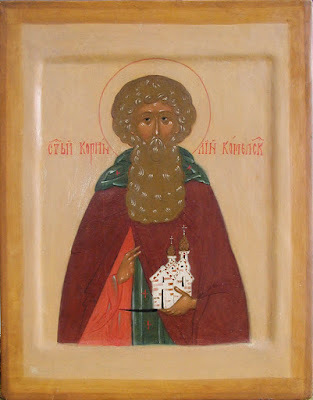 Saint Cornelius of Komel was born in 1457 and descended from the boyar (noble) family Kryukov, who lived in Rostov. His brother Lukian served at the court of the Great Prince of Moscow, and was able to help Cornelius assume the office of clerk in the Grand Prince's court. When Lukian, who was getting old, decided to go to the Monastery of Saint Cyril of White Lake, he was followed by Cornelius, who longed for the solitary life from a young age. After he was tonsured at the age of twenty, the young Cornelius began his monastic endeavors with a difficult obedience: he wore heavy chains in the bakery. In his spare time he occupied himself with copying church books. Because of his love for solitude, Saint Cornelius later left the White Lake Monastery, and he visited Rostov. At Novgorod, Archbishop Gennadius (Dec. 4) attempted to hold on to him by ordaining him a priest, but the ascetic refused and settled in a desolate spot near Novgorod (his ordination took place in 1501, ordained by Metropolitan Simon of Moscow). When people began to visit here also, he moved to the Savvatieva Wilderness Monastery in Tver. Later, in 1497, he settled in the Komel forest, not far from Vologda, where he built a cell. 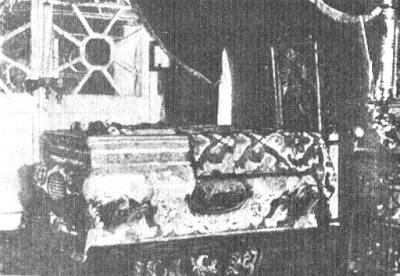 Monks began to gather around the cell of Saint Cornelius. In 1501 he built a wooden church in honor of the Entry into the Temple of the Most Holy Theotokos. In that year Metropolitan Simon ordained him as hieromonk. In 1512, when the number of brethren had grown, the Saint built a stone church and he compiled a Rule for the brethren, based on the Rules of Saints Joseph of Volokolamsk and Nilus of Sora. This was the third monastic Rule written by Russian saints. This monastery became known as the Korniliev-Komel Monastery. 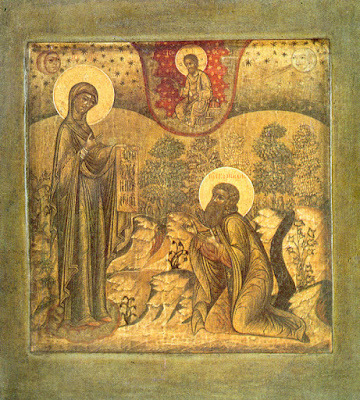 In the Komel Monastery, Cornelius organized book and icon painting workshops. 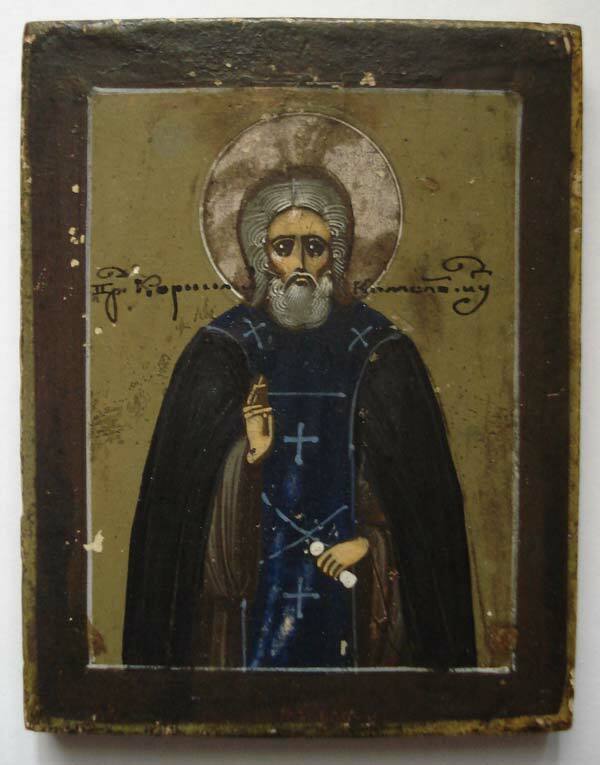 Saint Cornelius of Komel was distinguished by his charity toward the unfortunate, and during a famine he built an orphanage in the monastery courtyard. At its walls, parents would leave children who were no longer able to feed them. Because of his love for the poor and orphaned, Saint Cornelius was often granted visions of Saint Anthony the Great (Jan. 17), for whom he had a special reverence. He constructed a church at his monastery in honor of this great ascetic. The Saint’s strictness of life provoked some of the brethren to grumbling, and Saint Cornelius was compelled to leave the monastery. He settled at Lake Sursk, 70 versts from his monastery, with his disciple Gennadius. At times he also lived at the Trinity-Sergiev Lavra. Interceding for the monks of the Korniliev Monastery, Great Prince Basil Ivanovich urged the Saint to return to his own monastery. The ascetic gave in, and having returned to his own monastery, he transferred its guidance to his disciple Laurence and shut himself in his cell. During a Tatar incursion into the Vologda region Saint Cornelius went with them to the outskirts of White Lake. The Saint died in the monastery founded by him at the age of eighty-two on May 19, 1537. Many disciples of Saint Cornelius were also glorified for their holiness of life, Saints Gennadius of Liubimograd (Jan. 23), Cyril of New Lake (Feb. 4), Herodion of Iloezersk (Sept. 28), Adrian of Poshekhonye (Mar. 5), Laurence and Cassian of Komel (May 16). The commemoration of Saint Cornelius (May 19) was established on January 25, 1600 by Patriarch Job and a council of bishops. The Life of the Saint was written by his disciple Nathaniel in the year 1589. There is a service and an encomium to the Saint, and the Rule of Saint Cornelius has been preserved. Kindled from thy youth with the fire of divine love, thou didst forsake the turmoil of life, O blessed Cornelius. As a disciple of Anthony the Great, thou didst serve Christ in toil and silence, in vigil, prayer and fasting. Entreat Him that our souls may be saved.